Stabilisation work on the historic Severn Princess car ferry has been successfully completed by Chepstow’s Mabey Bridge. 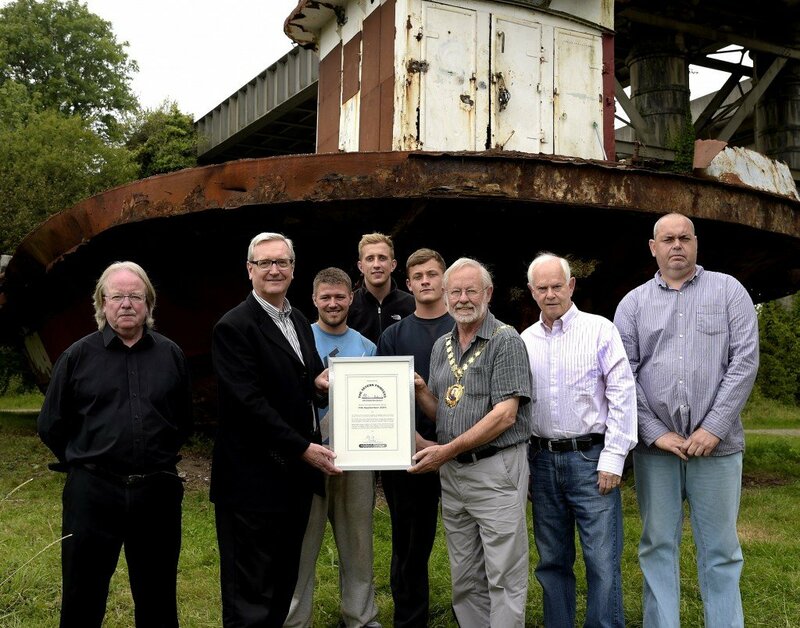 The end of this first stage of restoration has been marked with a handover ceremony attended by the Mayor of Chepstow Cllr Ned Heywood, members of the Severn Princess Restoration Group, and management and apprentices from Mabey Bridge. At the event, Philip Clegg, Production Director of Mabey Bridge handed over a commemorative certificate to Councillor Heywood. Philip Clegg, Production Director of Mabey Bridge presents the Mayor of Chepstow, Cllr Ned Heywood with a commemorative certificate on the completion of stabilisation work. Over a three month period that started in June 2014, staff and apprentices from Mabey Bridge have worked hard to remove critically eroded elements of the hull, as well as various structural items from the deck and wheelhouse. A considerable amount of water was drained from the hull, which is now being given a final layer of protective paint – also donated by Mabey Bridge – to complete this initial stabilisation phase.